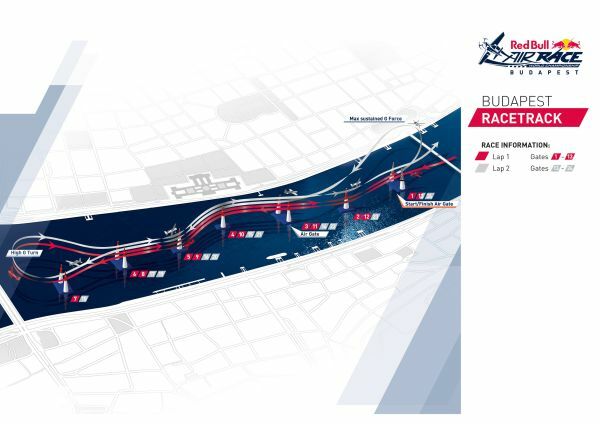 Budapest has established itself as a classic stop on the Red Bull Air Race World Championship calendar: a location legendary for its long heritage dating to the first season of the sport and, especially, for an iconic racetrack approach that sees the raceplanes dive under the city’s Chain Bridge. Every pilot wants a Budapest win on his resume, and every team knows that victory in the fourth stop on the eight-race calendar will give them momentum at the critical midpoint of the season. With 14 of the world’s best pilots locked in a series of ties right down the leaderboard, the 370 kmh flights will be furious. 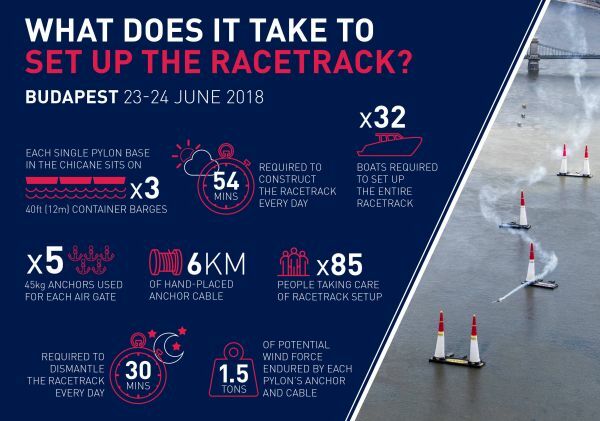 Tens of thousands of spectators – including Peter Besenyei, Hungary’s own Red Bull Air Race pioneer – will be focused on Australia’s Matt Hall and the USA’s Michael Goulian, neck and neck at the top of the standings with 36 points each. Twice a runner-up in the World Championship, Hall has won the last two races and is looking for a hat-trick over the Danube. Goulian is having a career-best season start, including race trophies for first, second and third. And both have stood on the Budapest podium before, with the American winning in 2009. Tight in their own tie are the perpetual rivals who finished first and second in the 2017 World Championship, Japan’s Yoshihide Muroya and the Czech Republic’s Martin Šonka. Sitting 17 points back from the frontrunners with 19 each, they will be eager to break free of each other; and to make sure that the leaders do not get out of reach. The same is true of Germany’s Matthias Dolderer, who triumphed in Budapest on the way to his 2016 World Championship, and the charging young Frenchman Mika Brageot – both possess 15 points. But no one in the lineup has had more success flying at the “Pearl of the Danube” than US pilot Kirby Chambliss, with six Budapest podiums including two wins. “Budapest was the second race in the history of the sport, and that’s what always makes it so special to me,” says the two-time Red Bull Air Race titleholder, who at eighth place overall will be keen to reproduce his 2017 victory in the capital.